Cha E Rock Bangla Band Song Lyrics From Nagar Sankirtan Theme Song 2015. Kaushik Chakraborty Of Prithibi Bangla Band. 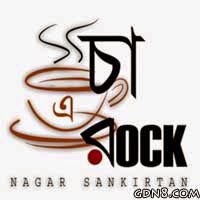 Golpo gujob kana-ghuso de re na na..
Cha E Rock, Cha E Rock, Cha E Rock..